This is absolutely true! 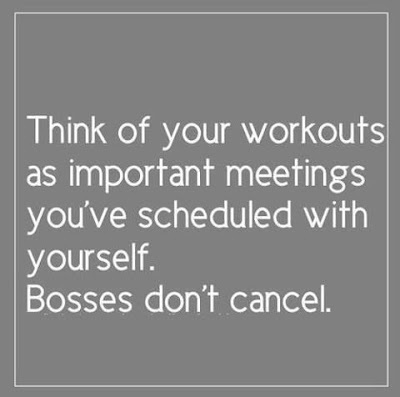 I've found that I stick to my workout plans much better when they are pre-scheduled into my day! agreed! Planning my week, including food, is usually a Saturday activity. Then when I wake up Sunday, I know what to expect. That's a great way to do it! 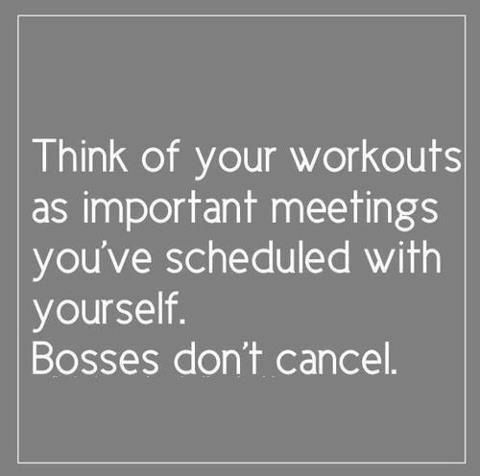 I've been putting my workouts into my calendar and daily planner so they're staring me in the face and I have to do them!